The Board of Pemamek Oy has appointed Juha Mäkitalo as the new CEO of the company. The appointment will become effective on the 1st of May, 2019. The current CEO and stakeholder, Jaakko Heikonen, will continue as the Vice-Chairman of the Board and Director of International Sales and Marketing. During the past three years, Pemamek has grown rapidly and reached important milestones. As the fiscal year 2018-2019 ended, Pemamek’s revenue reached 77 MEUR and the number of personnel totaled 230 people. ”Pemamek has taken big steps towards international growth, but there’s still a lot of potential left. As a result from the change of company CEO, we will be able to develop our operations to the next level. 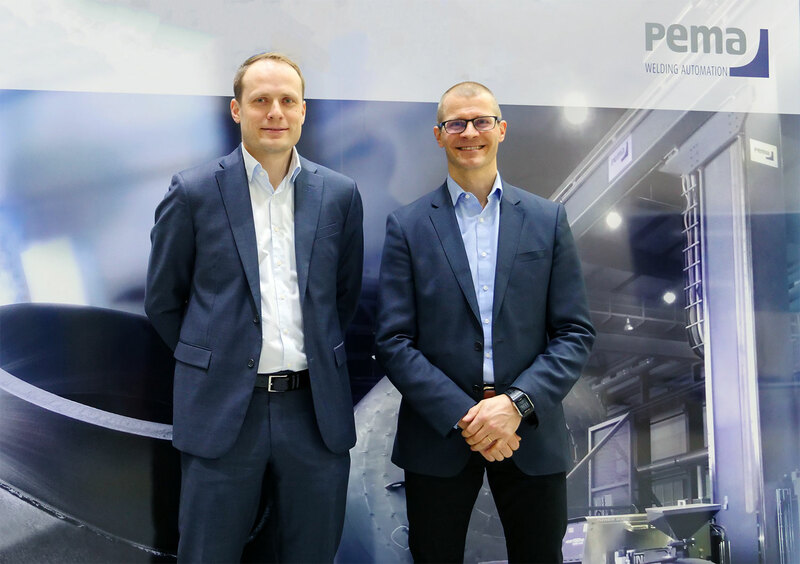 Appointing Mäkitalo as Pemamek’s new CEO was very natural decision, as he has proven track record, know-how and experience in the industry,” said Pemamek’s CEO and shareholder, Jaakko Heikonen. Since 1988, Pemamek has been a family company, owned by the Heikonen family. In the future, the ownership of the company will remain the same. ”This is a significant milestone in our family company’s history. We believe that this opens new doors and strengthens Pemamek’s position in the international markets,” commented Chairman of the Board and shareholder of Pemamek, Pekka Heikonen. Juha Mäkitalo has made a long career in an international technology company Finn-Power Oy, a member of Prima Industrie Group. The past eight years Mäkitalo has been the CEO of Finn-Power during which the company has significantly increased its revenue and profitability. Mäkitalo has been a board member of Pemamek since 2016, so he is already familiar with company and its operations. ”I’m thrilled and honored to start as the CEO of Pemamek. The company is on the growth path and I know that with the support of my experience, I’m able to help the company to gain controlled growth. Thanks to my board membership, I know the company already, which makes the transition easy and natural,” summarized Juha Mäkitalo.